NorthernAxcess offers the Iridium Motorola Iridium 9500 satellite phone travel kit to keep you connected with the world. This kit includes the antenna adapter and the portable auxiliary antenna to use the satellite phone inside your house or vehicle. We provide high quality refurbished and used satellite phones. 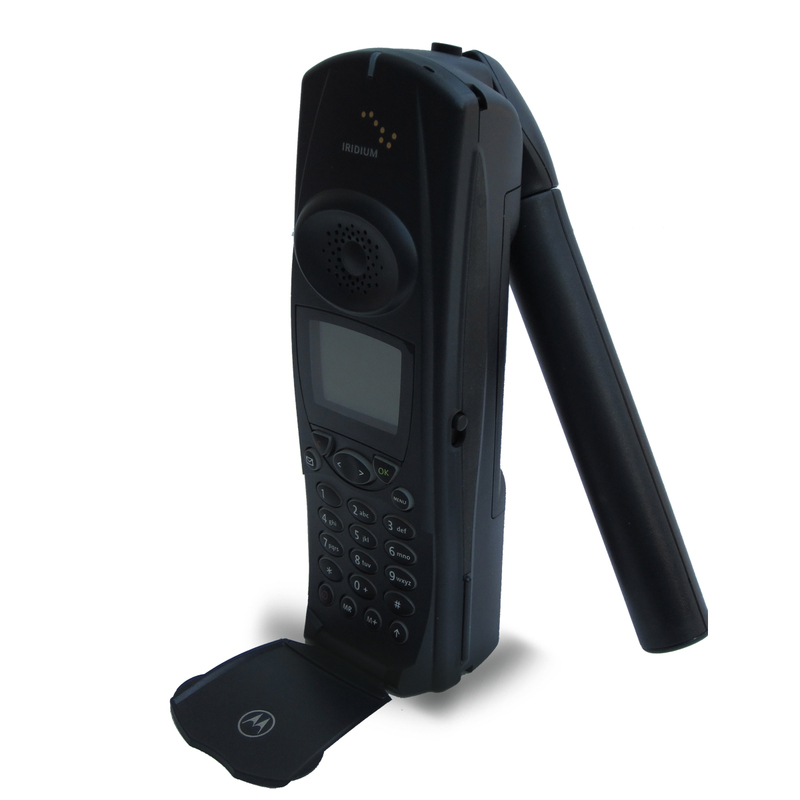 The Iridium Motorola 9500 was the first satellite phone made for the Iridium network. This satellite phone operates with the Iridium network that is the most reliable network in the industry. This 9500 phone provides global, reliable voice and data in areas outside of cellular network coverage, or in places with poor landline services. You can purchase a used or refurbished Iridium Motorola 9500 satellite phone at a lower price because is the oldest model of the iridium satellite phones; although it is certainly good quality phone for any type of use offering a reliable communication anywhere you are. We have competitive prices for used and refurbished satellite phones, count with a 24/7 support team and the most qualified repair centre in the satellite communication industry. We also carry a full inventory of accessories for this phone. **Refurbished and Used Satellite Phones come with a 90 Day Warranty. NorthernAxcess offers very competitive prices on airtime and if you purchase any Iridium satellite phone, we will waive the activation fee of the prepaid airtime. Buy an Iridium Satellite Phone plus Prepaid Airtime and Save Money.. I recently purchased the Motorola 9500 satellite phone in a bundle package. The phone came and was in great condition... looked brand new. NorthernAxcess provided awesome customer service... and were there, whenever I called them. I will definitely do business with these guys again. Thanks for everything, Northern Axcess. Great Job!!!!! Click the button below to add the Iridium Motorola 9500 Satellite Phone w/Antenna & Satchel-Used/Refurb to your wish list.